I just arrived in Roseburg for a few days with family. 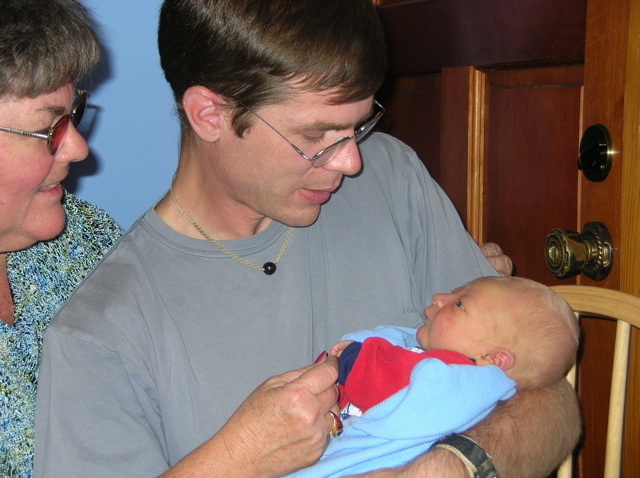 We just drove down from Seattle, where the whole family was present for the first day of my newphew’s life on earth. Pretty neat seeing a baby less than one day old. Here I am being cute with him. His name is Keiden William Bagley. He was 20 inches long and weighed 7 pounds 3 ounces. It was fun watching all the adults turn in blubbering idiots while holding Keiden. I was, of course, not immune to his effects.